Jon Kinzenbaw has always found ways to make existing equipment better. 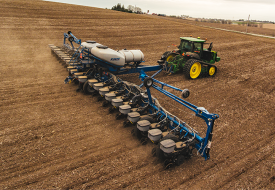 While Kinze is no longer involved in re-powering tractors, the re-powers increased the value and performance of the classic workhorse John Deere 4WD tractor, giving farmers the best of both worlds. 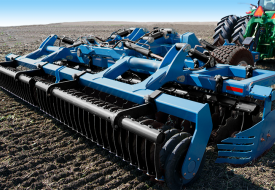 Increased torque and lugging power, better fuel efficiency, and improved engine reliability combined with the existing smooth ride and row crop handling features. 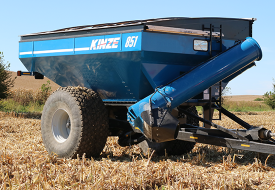 Innovative Kinze designs included the forward-tilt engine hood design and a side-mounted air cleaner and exhaust. These made John Deere tractors even more user friendly. 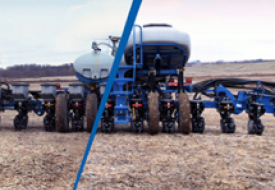 Kinze re-powered tractors delivered tremendous savings compared to the cost of purchasing a new tractor. 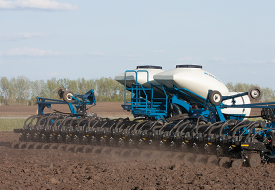 Although Kinze is no longer in the tractor re-power business, here are some helpful resources to rebuild the gearbox and find replacement components for your Kinze re-power. Manufactured exhaust pipes are no longer available. To have exhaust pipes fabricated, refer to the drawings below.